This Art Journal has premium handmade cold pressed watercolor paper. The paper is made using 100% Cotton fibers to provide you with exceptional strength and durability. Calcium Carbonate Reserve: Buffered optimally. Please contact your local art store for more information about price. 75% cotton and 25% flax fiber blended paper is made using the blend of both fibers. Cotton ensures durability, and the inclusion of linen gives an unusually tough working sheet. Cotton linen blend paper is preferred by artist of all ages. 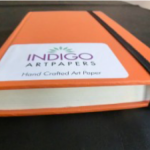 Indigo artist 75% cotton and 25% flax fiber blended paper is produced using fine quality cotton rags and flax fibers. 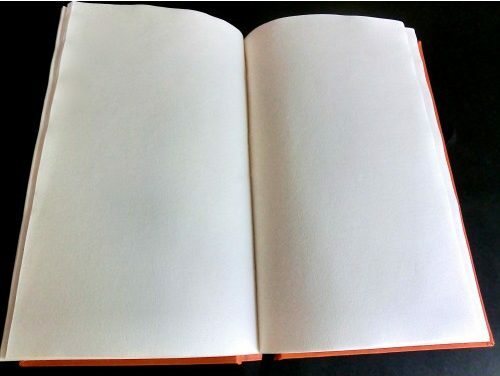 The paper is produced by traditional handmade paper technique to give a sturdy, strong paper for the artist to work on and produce a great piece of art. The paper is engine sized with quality additive and tub sized with gelatin, to enable the painter/artist to liberally use the paint longer. 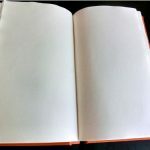 Since the paper is hard sized, the paint does not absorb deep into layers of the paper and pigment dries over the surface paper to exhibit its true colors. Paper is ideally suited for water color and can be used for other media including oils (use gesso/acrylic primer before commencing work) pastels, print making and other mix media work. 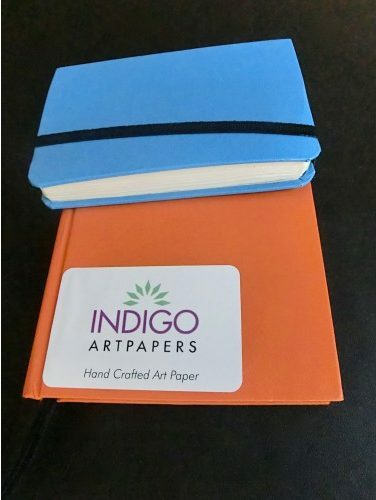 Indigo artist paper comes in various lb/GSM of 300 GSM, 450 GSM and 650 GSM . Papers are made in various sizes from A-4 sizes to 22”x30”. 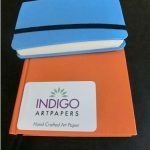 This Art Journal has premium handmade cold pressed watercolor paper. The paper is made using 100% Cotton fibers to provide you with exceptional strength and durability. 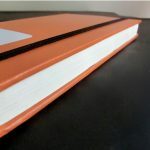 Each journal features, 90crisp sheets of premium 47lb (100 GSM) made using our handmade process. Paper is acid free, heavily internally sized and suitable for light water color washes. 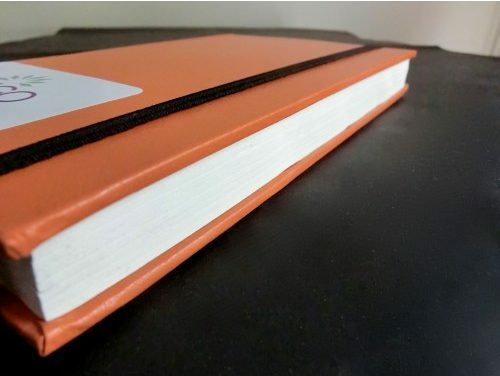 Art Journals are available in convenient travel sizes. 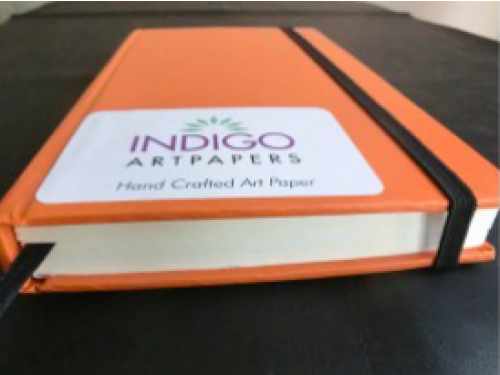 @2016 Indigo Artpapers Inc, Canada, all rights reserved.